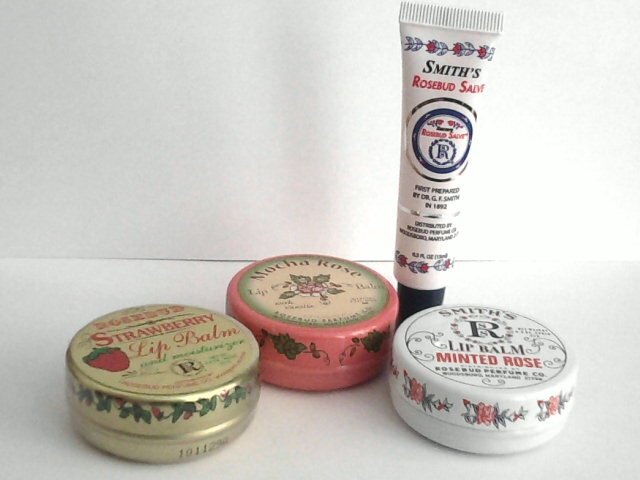 I was sent these 4 products from Rosebud Perfume Co., including their best-selling Smith's Rosebud Salve to review. 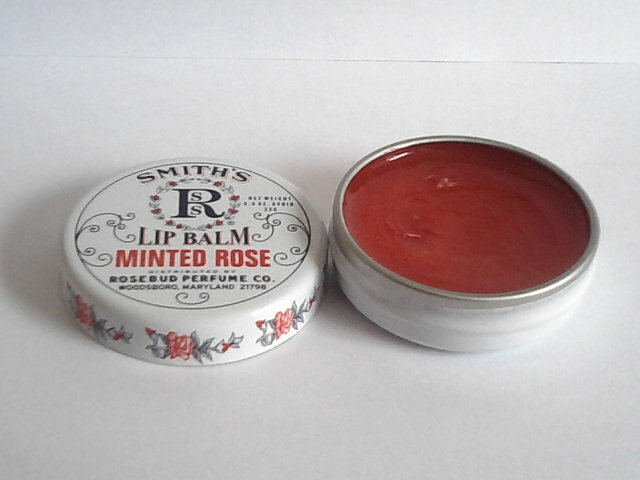 I always heard great things about Smith's Rosebud Salve but never try it because the original packaging of it was in a tin can. I don't like to always use my finger to apply but now they have the product in a tube! I am very eager to try. 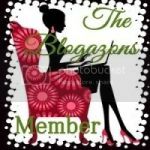 Who is Rosebud Perfume Co.? What it is formulated WITHOUT? Actually, I really love this product. This helps heal my dry cracked lip during winter months. I don't know if you guys know, but I always have dry lips for some reason, so I really need a lip balm or something to save it from cracking torture. 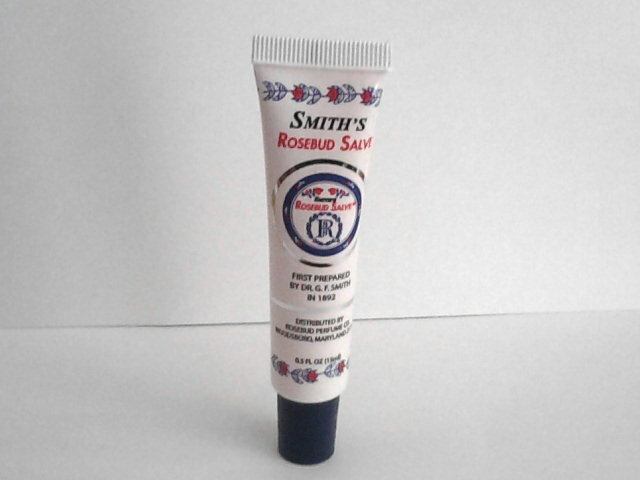 This Smith's Rosebud Salve works great. The only downside is you have to reapply like every 2 hours because you will feel your dry lip again. I don't really have a problem with reapplying because I love using lip balm and the ways it feels on my lip. The fragrance of this product reminds me of Tiger Balm. I actually didn't hate the smell at all because I grew up using Tiger Balm all the time! Even though the salve is pink but when you apply, the color blends right in. Besides using this as a lip moisturizer, I also used this for my dry hands. When I apply a little to my hand and rub it, I don't have that dry feeling in my hand anymore. Whenever I go out, this product has to be in my bag because you never know when you will have dry lip, dry hand, or even blemish. I love how multi-purpose this product is! Smith's Rosebud Salve really lives up to its name. I would definitely recommend this to others. 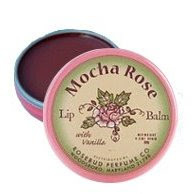 Give yourself a "lift" with the newest aromatic and moisturizing lip balm from Rosebud Perfume Co. Mocha Rose imparts a dewy gloss to parched and chapped lips. Apply to rough hands, cuticles, chaffed elbows and feet or anywhere you need an emollient body boost! Infused with chocolate, vanilla and mocha coffee shop flavors. 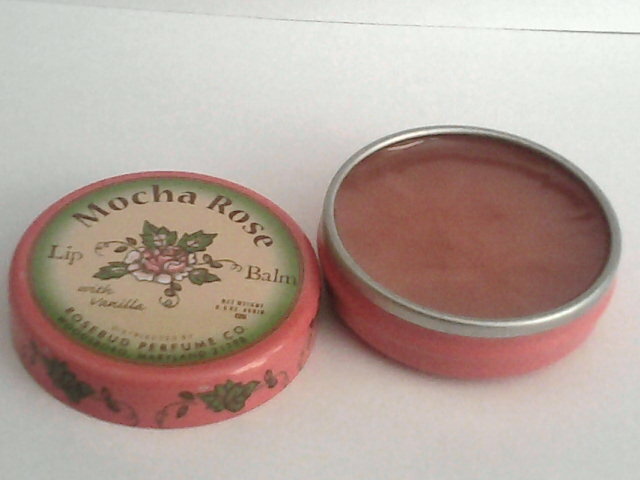 Mocha Rose Lip Balm is a special "Trade Secret" blend of essential oils, petrolatum, shea butter, vitamin E and natural beeswax infused with mocha, chocolate and vanilla coffee shop flavors. This lip balm is filled with mocha fragrance and I love it. Not only that it's moisturizing to your lips, it smells super good. 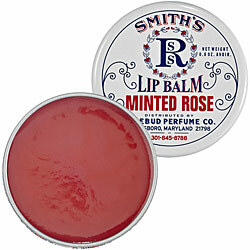 The efficiency of this lip balm is the same the Smith's Rosebud Salve but in a different flavor. The consistency of the lip balm is just right to me, not too thick or thin. I love that the lip balm isn't too sticky after applying on the lip. Since this only sell in a tin can, you have to of course use your finger to apply it. 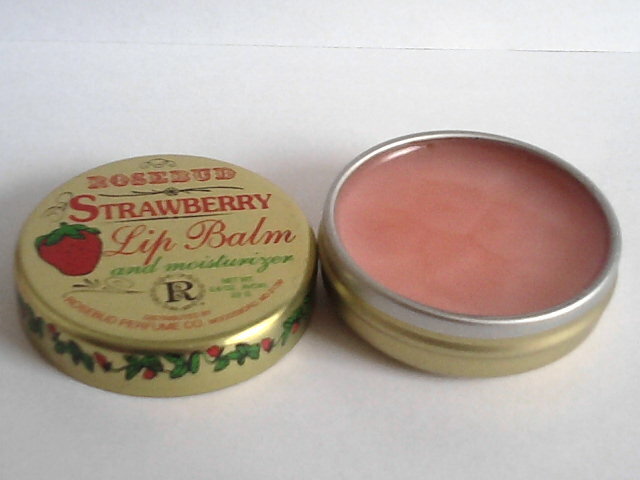 Like every lip balm out there, you would need to reapply it every couple of hours. Those are the downsides for this product. Great product inside out. Be sure you don't eat it as it really smells like chocolate! Indulge your sweet tooth as you soothe dry, chapped lips with Rosebud's newest, strawberry-scented lip balm. Following in the Rosebud tradition of simple, easy to use products, this vintage-inspired tin contains a combination of rich emollients that lock-in moisture and banish dryness after only one application. Pertolatum, Lanolin Alcohol, Synthetic Wax, Natural Flavor, Artificial Flavor. 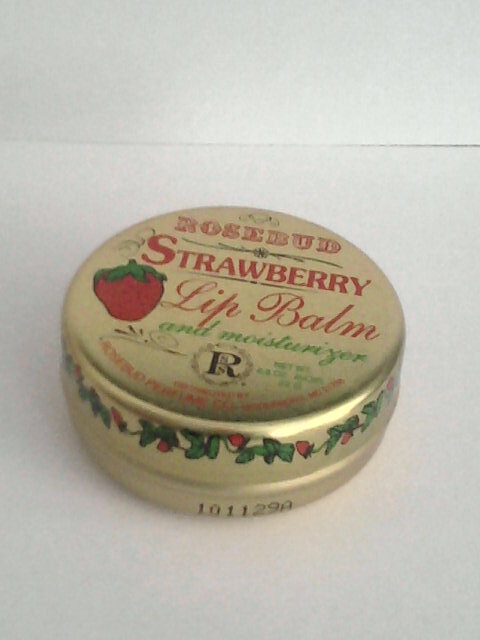 This Strawberry lip balm has a cute packaging like the rest of their product since they mostly comes in this vintage-inspired tin. The strawberry fragrance isn't super intense or heavy. 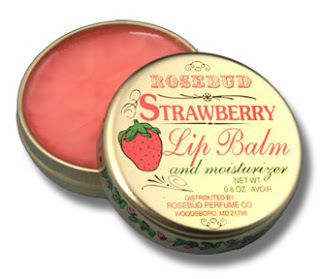 I love the way it smells and how it always moisturizes my dry lip. The consistency is just right like the other lip balm I tried. 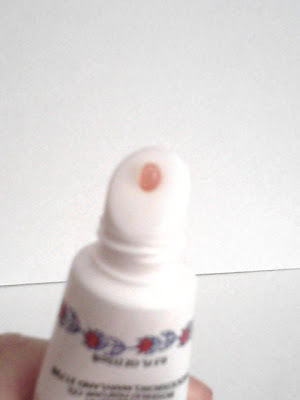 I wish that the lip balms will come in a tube soon because I always hate using my finger to apply lip balm. With this great flavor, I would definitely recommend this to others! This cult-favorite, minty, multi-purpose lip balm soothes dry lips, calms and heals irritation, and soothes the sting of minor burns. Try dabbing on dry elbows or knees to condition, and relieve dryness. This is my favorite lip balm out of the three that I tried. I always have a love for minty things. When I apply this to my lips, it instantly gives this "zing'" feeling. I love the way it feels on my lip. This minty lip balm can also give this cooling effect with you apply on irritated area. Out of the 4 items I tried, this lip balm smells so much like Tiger Balm because Tiger Balm also gives out this minty smell. Like I mentioned above, if this comes in a tube, it would be something that dropped from Heaven! There's not much I can say anymore about this product except you should try this out yourself! 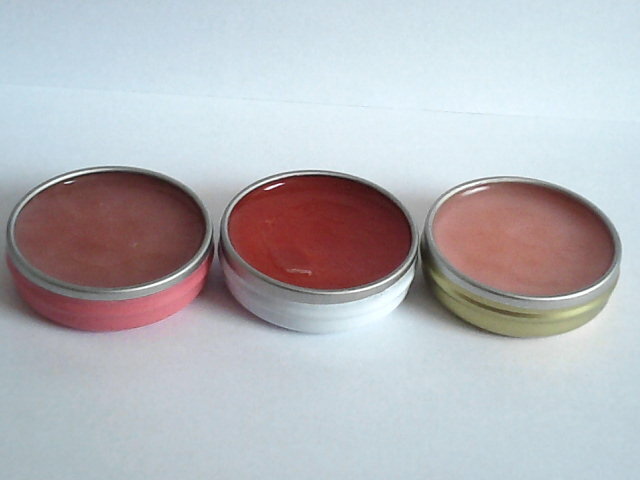 Now I can change the flavors of my lip balm everyday because they are all possess great fragrance which I loved! FTC Disclosure: This product was sent to me for free for review purposes. I was not paid and affiliated with the company mentioned. All opinions are 100% mine. Thanks for the review. I love these. They are really moisturizing! I love the original one, the rose salve that come in the tin.